Shenzhen Yuhan EM, located in Shenzhen High-Tech City and neighboring Hongkong, is a Young High-Tech enterprise specializes in R&D, manufacturing, marketing and servicing of Electron-mechanic equipment and Modernized Management. 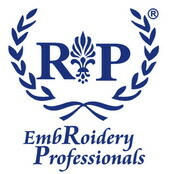 We provides R&D, production , servicing of Computerized embroidery machinery and control system, Computerized Quilting Machinery and Control system, Computerized Quilting Embroidery Machinery and Control system, Garment Machinery and Design Software system , and other Electro-Mechanic Integrated System .With a team of young and enterprising engineer ,researcher and manager, under the company motto of honesty , professional, Stability and Creativity, we are able to provide latest products that creates world super-fashion, including various types of special embroidery combination machines, chain, tufting, multi-sequins in one needle, laser cutting machines, latest technology control system etc. High quality and Latest technology products were developed continuously which guaranteed our company's stable and rapid growth. Our products have been exported to more than 30 countries around the world, and gaining compliments from our agents. Our products are most stable in quality and cost-effective thus widely utilized by worldwide customers. With sister company in Hongkong we are expanding our overseas business smoothly and rapidly. We look forward to fruitful cooperation with worldwide business partners. 	Spare parts and peripherals: FUSB (USB simulator), Sequin Sewing Machines etc.